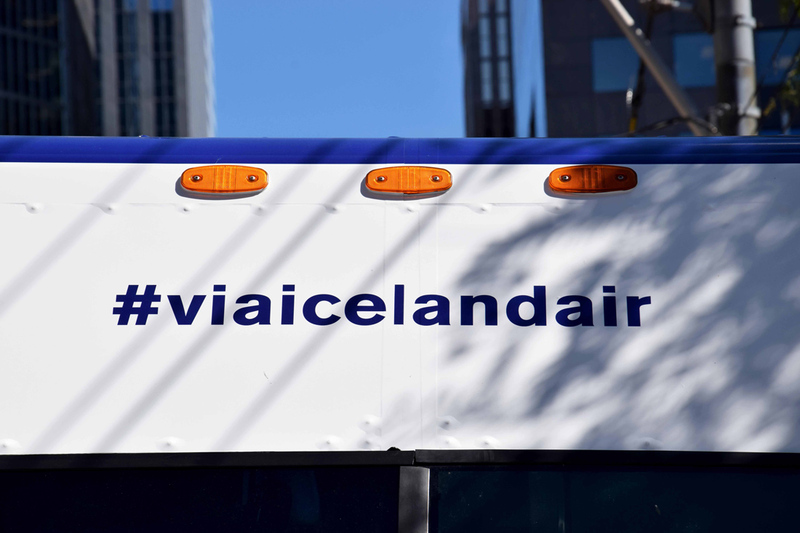 Activate and educate the Toronto gateway about Icelandair’s twenty-six European destinations. 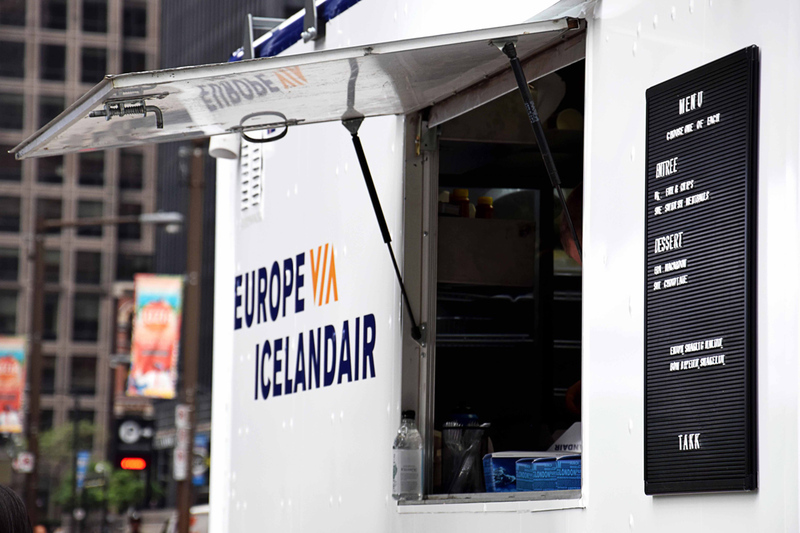 We created and launched the “Europe via Icelandair” campaign in Toronto through a European Food Truck Photo Booth activation. 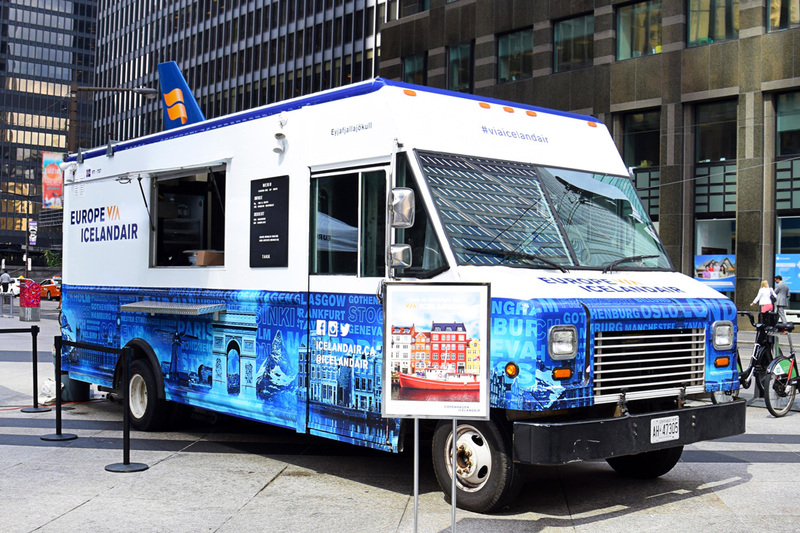 At select high traffic locations around Toronto and at the 2016 Toronto International Film Festival, we invited passerby’s to enjoy a European themed lunch and capture pictures in different European destinations – without ever leaving the country. 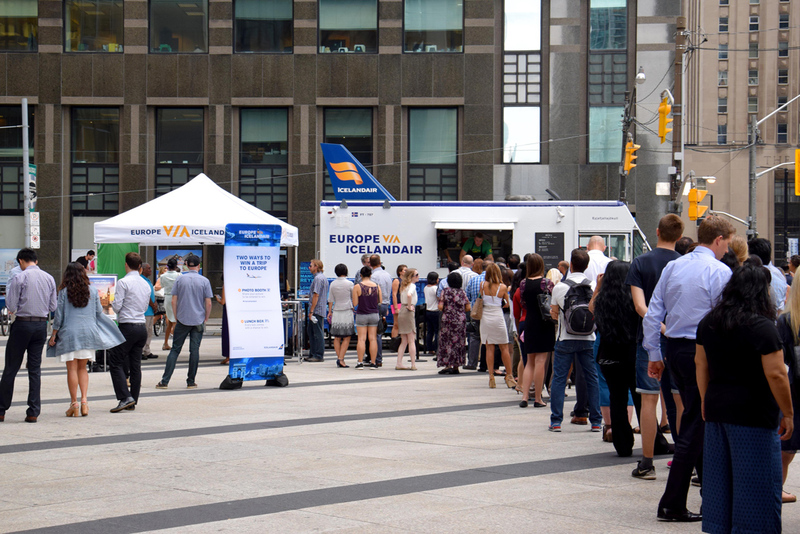 Visitors got to choose from English fish and chips and Swedish meatballs, French macaroons and Swiss chocolate. 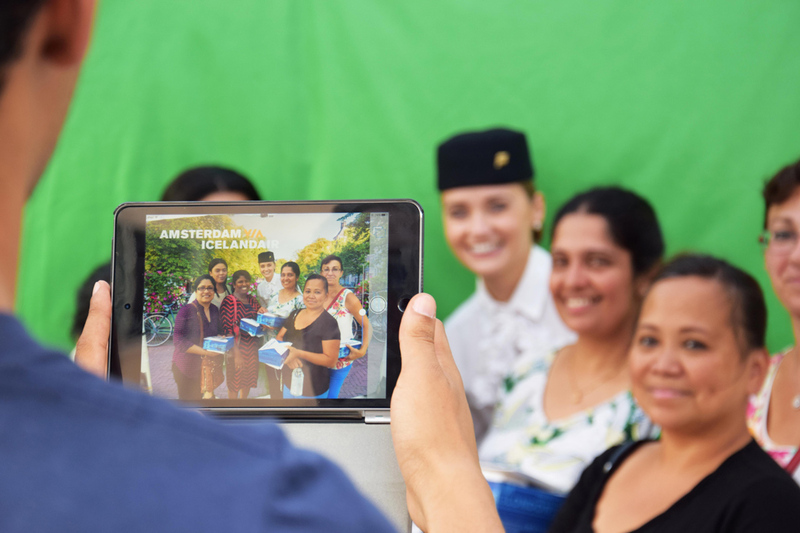 Our Icelandair green-screen photo booth gave visitors a choice between different European cities as their backdrop – one couple even got engaged on camera. 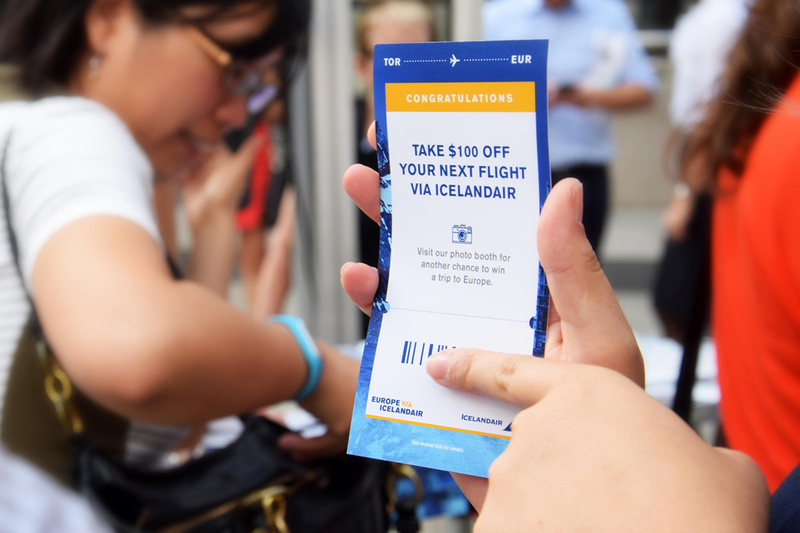 12 pairs of round-trip flights and $100 discount vouchers to Europe were given away with the lunch boxes, as well as additional chances to win via sharing their photos on Facebook, Instagram or Twitter.